Vous pouvez également utiliser 50400 Kobo Super Points pour l'obtenir ! Paul Ricoeur’s first book, Freedom and Nature, introduces many themes that resurface in various ways throughout his later work, but its significance has been mostly overlooked in the field of Ricoeur studies. Gathering together an international group of scholars, The Companion to Freedom and Nature is the first book-length study to focus exclusively on Freedom and Nature. It helps readers to understand this complex work by providing careful textual analysis of specific arguments in the book and by situating them in relation to Ricoeur’s early influences, including Merleau-Ponty, Nabert, and Ravaisson.But most importantly, this book demonstrates that Freedom and Nature remains a compelling and vital resource for readers today, precisely because it resonates with recent developments in the areas of embodied cognition, philosophical psychology, and philosophy of the will. 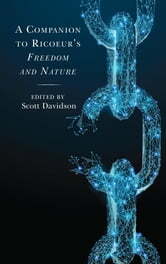 Freedom and Nature is fundamentally a book about embodiment, and it situates the human body at the crossroads of activity and passivity, motivation and causation, the voluntary and the involuntary. This conception of the body informs Ricoeur’s unique treatment of topics such as effort, habit, and attention that are of much interest to scholars today. Together the chapters of this book provide a renewed appreciation of this important and innovative work.